“It’s every mother’s nightmare – getting the phone call to inform you that your child’s been hurt. Author Dixie Fremont-Smith Coskie was lost in the minutia of everyday life when her phone rang but her life was thrown into chaos the moment she lifted it off its receiver. Her son’s story begins in the pages of “Unthinkable: A Mother’s Tragedy, Terror, and Triumph through a Child’s Traumatic Brain Injury” and it follows the unbearable events through his fight for survival. In 2001 and shortly before the atrocities of 9/11, Coskie’s son, Paul, was involved in his own crisis – an SUV collided with him as he biked on a local street. Without the protection of a helmet, Paul suffered severe injuries to his brain. Coskie’s story takes the reader from the scene of the accident, through a helicopter evacuation, the arrival at the emergency room and last rites from the hospital’s priest, and hookups to a life support system. Over the course of a year, this determined family sees their broken member slowly come out of his coma, relearn to talk, walk, and eventually function again. Paul makes the transition back to school and even actively advocates for helmet use. “Unthinkable” is told from Coskie’s perspective and utilizes both her narrative of the ordeal as it unfolds as well as a journal written for Paul during the time the accident occurred. Heart-wrenching and vividly detailed, she writes with emotional clarity and truly paints the picture for her readers to follow…so much so that I was crying by page four. I regularly had to put the book down in order to wipe away tears. But the book isn’t all sad. Readers get to witness Paul’s rebirth into normalcy and a family completely changed with newfound appreciation for the little triumphs of life. I celebrated Paul’s determination and cheered for his accomplishments. Further, Coskie takes her life lessons from each stage of this process and offers her readers tips on what to do if a brain injury happens to someone they love. This advice can serve as a companion guide to lessen the feeling of helplessness in a situation. “Unthinkable” is so much more than a firsthand account of personal tragedy. Coskie’s eloquent style puts you in the middle of the situation while the sheer amount of intensity that she conveys is absolutely exhausting. Speechless, enlightened, pensive, inspired… these are but a few of the emotions I feel upon closing the last page of Unthinkable: A Mother’s Tragedy, Terror and Triumph through a Child’s Traumatic Brain Injury. Dixie Fremont-Smith Coskie, a mother of 8 children, pours out her heart in a memoir revealing her raw emotions and her family’s fight to bring back their son, Paul, to his former self. 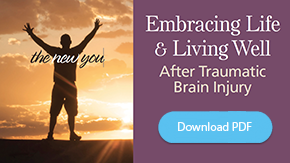 This amazing story of survival starts with her 13 year old son’s traumatic brain injury (TBI) when he was involved in a car accident while riding his bike; he was not wearing a bike helmet. The severe trauma to his head leaves Paul clinging to life, two months in a coma followed by almost five months in a rehabilitation hospital. Dixie continues her account by bringing us into her home to witness the years of gruelling out-patient therapies. We witness how her family moves on and the lessons learned from this life changing experience as Paul’s sibling go out into the world. Unthinkable is an open book to a mom’s heart. The author lets us in her most private thoughts; we feel her fear, her anger, and her interior struggle with God’s will about life or death. Above all we learn valuable lessons we can store to bring out when our lives are shattered. The reader should never take life for granted after reading Unthinkable. The accident is not the story, the aftermath to it is. And what a story! Feeling helpless and powerless, Paul’s parents sit in shifts next to their comatose child. Their hearts are divided and shattered, as they try to keep their home life stable and have one parent around the clock at their son’s bedside. On Paul’s fourth day in the hospital, still not knowing if he would live, Dixie started a journal. If her son woke from his coma, he most likely would have amnesia; therefore, this journal would preserve Paul’s survival. For Dixie, the journal gave her a daily distraction and a way to express her innermost thoughts and emotions. For the reader, this journal is “the fly on the wall” as she documents the most private thoughts of a mom who realizes their lives will never be normal again. Unthinkable should be read by health professionals so they know how the family members of their patients feel and how they could alleviate some of their worries. Family and friends will read suggestions on how best to help others going through difficult times in their lives. All parents will value this story showing the “power of the family” and how we should make every day count. Unthinkable is a called a Caregiver’s Companion. Parents of special needs children, be it the result of accidents, birth defects or child hood diseases, will treasure Unthinkable as their how-to-survival guide. Each chapter ends with bulleted format Tips on navigating the hospital routines, treatments, meetings, transition to rehab, transition to homecare, setting up an education program, and most of all how to care for yourself so you can continue to care for others that rely on you. Being lonely in the midst of the hospital bustle. Feeling guilty about time spent away from the hospital. Feeling guilty about the time spent away from the siblings at home. Feeling nothing seemed important except their children and family. Feeling no joy or interest in food, entertainment, and the outside world. Wondering what could they have done differently to prevent this illness, or accident. Moreover, Unthinkable shows how, with patience, fortitude, and perseverance, we can transform our lives. Paul was putting up a fight! Read about the many setbacks they had to conquer. The readers rejoice with the Coskie family with each milestone Paul achieved. Amanda, the eldest child, explains how every day her family agonized as they watched Paul incrementally manage his condition. In that collision not only had Paul’s life been changed but the lives of six siblings and certainly the lives of Dixie and Steven. Read this book and its valuable lessons of love, family, and perseverance will stay with you. Yes, not one family is immune from that one phone call that can change lives forever. It is impossible to shield our children from all suffering. Parents can be proactive and be present in the lives of their children but this does not guarantee a fairy-tale ending. The last pages of Dixie’s memoir leave us with more questions than answers. What does the future hold for Paul? How will the Coskie family deal with another life-threatening hardship? How long can hope and prayers push a family along to keep their spirits alive, their souls hopeful and their lives in motion? What will happen now? Will this mom, now of eight, have the time and courage to write a sequel? This story can’t be over; we have to know more about the last crises her family faces. “This was a book I could not put down. It should be read by every parent and every health professional. Dixie manages to capture with true passion what it is like to be a parent, and what it is like to be a parent of a child who suddenly has special needs. Health professionals would learn exactly what it is like from the parents’ point of view when a child is rushed into the emergency room and their life hangs in the balance. Having worked in the NHS myself for 14 years I know too well that we can focus on the job in hand and forget to care for the relatives. This is a fundamental aspect of holistic patient care. I love the way that Dixie shares with us her innermost private thoughts at the time she had them, by way of intertwining excerpts from her journal that she kept once her son had his accident. She makes it okay for us parents in similar positions to scream the question ‘Why??’. She explains the stages of grief, whilst reminding us that there is no prescribed right or wrong way, but that we may experience denial, anger, depression and finally acceptance. Of course, some of us may take longer than others to reach the acceptance phase. One useful aspect of Dixie’s book is that she writes ‘Tips’ for parents to follow. So this book is not only a heartfelt description of a mother and her family’s tragic journey, but it is also a practical resource. When reading this book you feel a deep connection to Dixie. You want to be with her and chat to her and give her a big hug. You want to visit her family and tell them how wonderfully they rallied round and made everything continue to work when their lives were in turmoil. So it is wonderful news when you read on and find out that Paul makes a good recovery, that he learns to walk again, that he has fun with his OT, and that he returns to school. “A must read for physicians and medical providers, to truly see what a mother and family endure through a terrible accident. 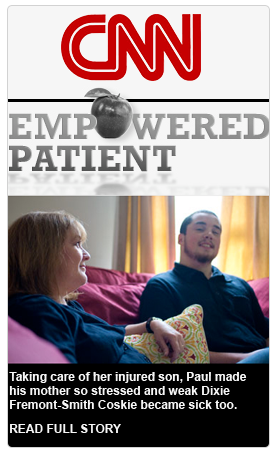 See how they cope in the ED, the ICU, the rehab – all the while tending to their boy, hoping he will get better. It is a story of healing through the power of love of one family as spoken through the heart of a mother. Often a difficult story to read secondary to the sheer force of its emotional magnitude, but READ IT YOU MUST, for it will make you THINK as it made me think. How prepared am I to deal with one of life’s unimaginable challenges, and how would I cope in the face of an extreme personal tragedy? Certainly, Dixie’s tips at the end of each chapter are the critical and rational steps to follow when a person doesn’t know how they will cope on a day to day, month to month basis, facing a protracted and exhausting medical crisis. “Many of the staff here at Franciscan Hospital for Children are familiar with the story of Paul Coskie. Some of them played an active role in Paul’s recovery, and know well the challenges he overcame as a rehabilitation patient here. 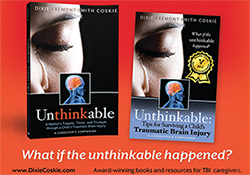 Unthinkable, the memoir that Dixie Coskie has written about her son Paul’s traumatic injury and brave recovery, does an incredible job of showing the real emotion that is involved in overcoming a major medical challenge.